"Missionaries in Christiansborg around 1860." [English: Missionaries in Christiansborg around 1860.]" "[original caption] Missionsgeschwister in Christiansborg. Goldküste. Um 1860." [Original text]: "E. Schrenk. Locher. Rottmann. Schall. Lindenmeier. Klaiber." Title: "Missionaries in Christiansborg around 1860." 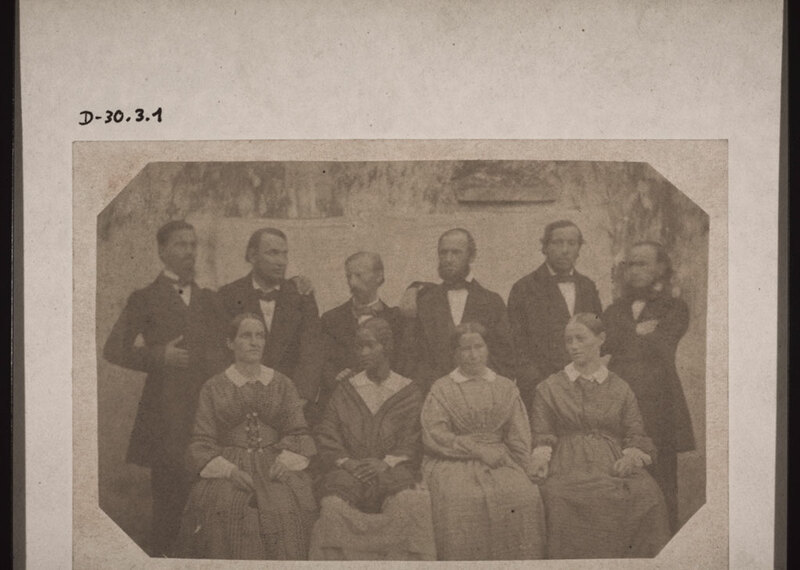 “Missionaries in Christiansborg around 1860.,” BMArchives, accessed April 19, 2019, http://www.bmarchives.org/items/show/56064.